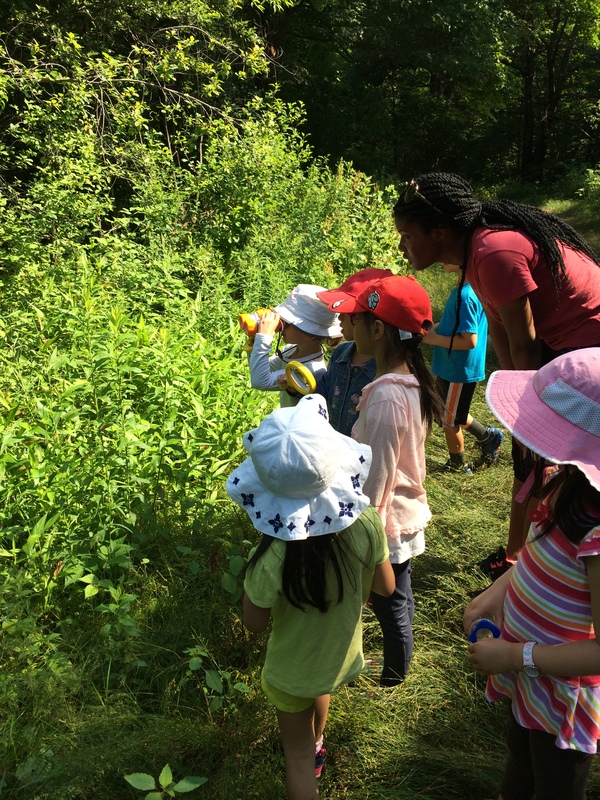 Off and running with Forest Kindergarten! We are half-way through our month long pilot program for Forest Kindergarten, and what fun we’ve been having! It is so easy to engage children in outdoor play, and the children who join us each week always seem to form their own unique bonds and traditions. 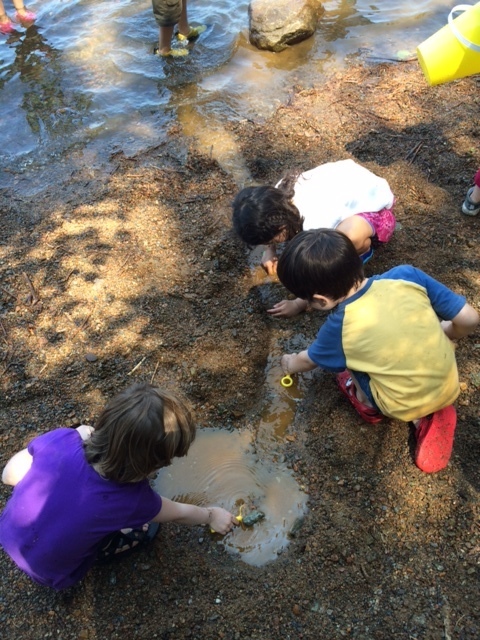 Today we spent nearly an hour working together to build rivers, dams and waterfalls on the edge of Spot Pond- an activity that captivated all the kids (they can’t wait to get back to it tomorrow), but it was also a hands-on physics and engineering lesson! Our walk to the “beach” is its own adventure, with the kids often exclaiming, “look, I found a daddy long legs (or a beetle, or butterfly, or ant, or teeny tiny flower)”. 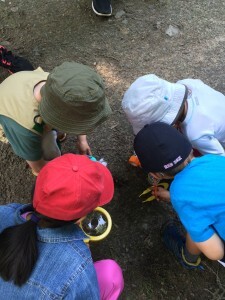 Sometimes the kids will simply examine the soil under their feet through a magnifying glass and wait for something new to appear. I have yet to hear a child complain about being bored, or about anything at all for that matter. The forest provides endless inspiration and entertainment. It seems like such a simple thing to bring our kids into the forest to play, but such an important one! 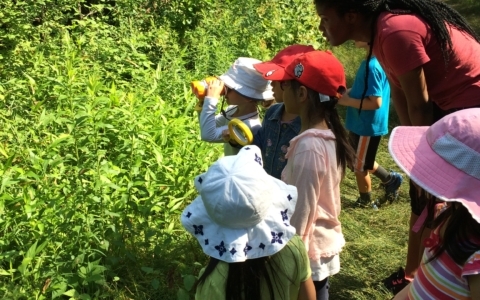 It is so easy and natural for children of this age to learn respect for the natural world, and how to derive joy from it.